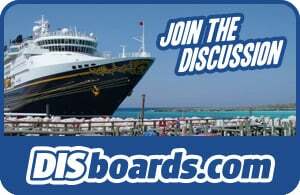 Notes: Room sleeps 4 with the upper berth and has the split bath option and perfect aft verandah with a fantastic view of Castaway Cay! Before sailing, I was a bit nervous about this room reading complaints that you can hear noise when you are under the pool deck or Cabanas. We didn't hear any noise (and we were up late and sleeping in when guests would be up for breakfast upstairs). Very convenient to aft elevators but quiet room as well! I'd happily take this stateroom again! Notes: We really enjoyed this room. It was very convenient to all the action on Deck 11. I agree with the previous reviewer though - walking through Cabanas was a bit awkward at times. Other than that, there was plenty of room for the 4 of us and we enjoyed the views of Castaway Cay and Nassau. Notes: This stateroom sleeps 4. We had an amazing, un-obstructed view and a nice veranda. This is a connecting room but to be honest, I never heard a peep from the people connected with us. This stateroom is across from the Service Elevators so the first evening and last evening can be a little noisy. The only reason I noticed the noise on the last evening was because I was sick in my stateroom. Had this not been the issue, I would have been at dinner and the show and never noticed. My biggest complaint is not with the stateroom but the poor design of the aft elevators and having to parade through Cabanas each time we wanted to go to deck 11. I hope DCL corrects this on the Fantasy!